The OCM is a professional orchestra based in Funchal, the capital city of the Portuguese island of Madeira. Date of rendering services: From September 2017 to July 2018. A professional level of musical education is required, along with good performing skills and experience with professional orchestras. 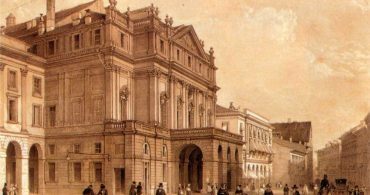 A solid understanding of the standard symphonic repertoire is expected, as well as the ability to rehearse and communicate in Portuguese, regardless of nationality and gender. 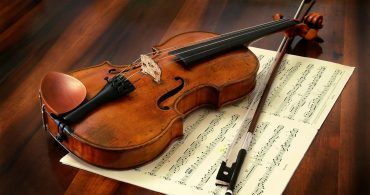 In addition to orchestral concerts, successful candidates will have the additional responsibility of integrating into any existing resident chamber music groups, with whom they will perform concerts as scheduled as part of the yearly / seasonal programming. -Live audition date: 08th September in Funchal, Madeira Island (Portugal). at the address: Travessa das Capuchinhas nº 4, 1º – Madeira Island. Candidates wishing to participate in the live audition should write to the above email address by the 01st September 2017. The OCM will not provide an accompanist for auditions. Candidates who would like to perform with piano accompaniment do so at their own discretion. Playing with accompaniment is recommend, but not compulsory. 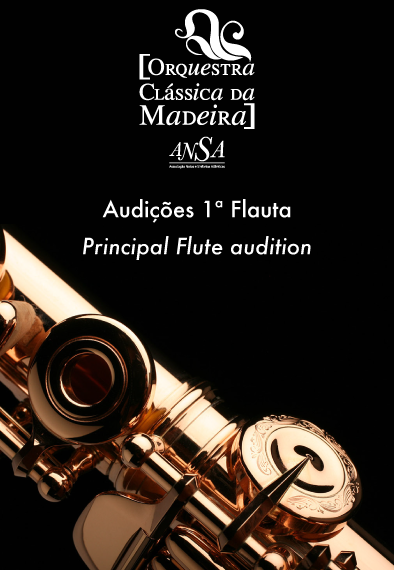 ANSA will put any candidates who wish to play with accompaniment in contact with pianists who reside in Madeira on request. – Video audition dates: Your resume /curriculum vitae and the video link (Dropbox, WeTransfer, Youtube, Vimeo…) must be received before 5th September, 2017. Videos must be shot in one take and include all of the required excerpts for your instrument. Please see the repertoire list. Absolutely no editing of any kind is allowed. Video auditions must be performed with piano accompaniment. The Audition Committee reserves the right to dismiss any candidate who does not meet the highest professional standards.